Would you like to wear a rainbow? Well, now you can. 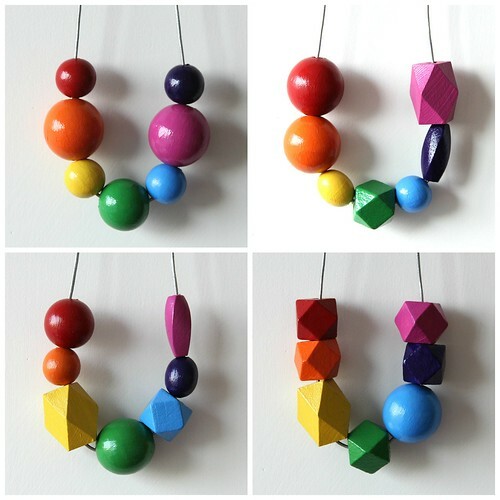 I have been wearing a rainbow for a few years now with my handmade rainbow wooden beaded necklaces. Now in my etsy shop you can choose which rainbow style you would like to wear. 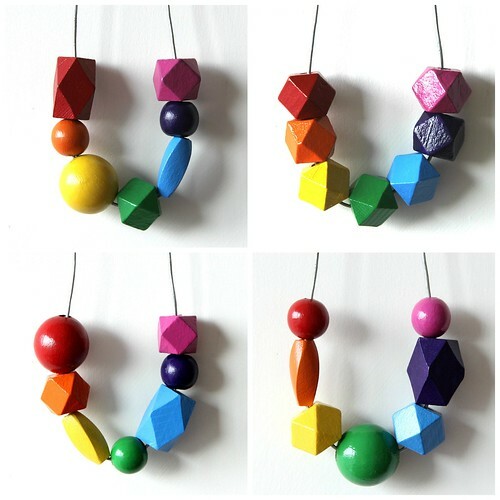 Choose one of the nine different styles I have designed or choose your own rainbow necklace. You choose your own rainbow adventure (just like the "Choose your own Adventure" books I read as a child). All beads are wooden and hand painted by me. They are finished with a gloss varnish (all non-toxic, of course). You can find them here in my etsy shop. Have a great day, may it be filled with rainbows (and raspberries).